Includes new 1/3 horsepower garbage disposal, labor, and tax. There could be a number of reasons that your faucet is leaking or that your garbage disposal has stopped working. Whether at home or in the office, we all spend a considerable amount of time at the sink. While it is inevitable to avoid wear and tear to these appliances, it is important to know who you can call when problems begin to arise. Repairing the critical fixtures that you rely on to work properly, it is our goal to bring you plumbing service you can trust. At Complete Plumbing & Rooter, we offer a variety of faucet and garbage disposal solutions, fixing, repairing, and replacing your appliances with one goal in mind – to make plumbing straightforward. Working with you, we take our time to thoroughly inspect what the plumbing problem is and identify an effective solution, resolving the matter as quickly as possible. Complete Plumbing & Rooter is your local expert who believes in putting your problems first. Regardless of what your plumbing problem may be, we take our job very seriously, arriving to your home swiftly and responding to calls 24 hours a day, seven days a week. The smallest leak flushes money down the drain and we want to be the company that helps you save. We can install any garbage disposal you desire, both at the home and in the commercial kitchen. 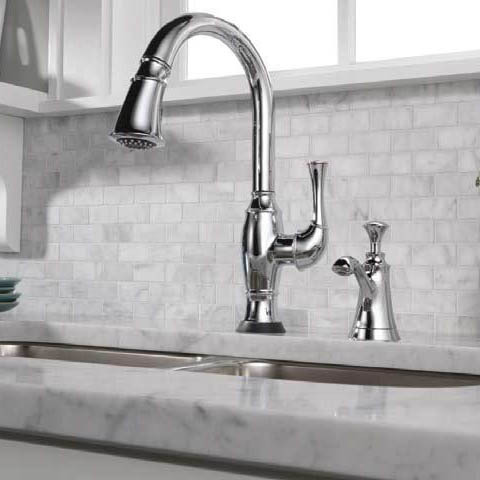 Your faucets and garbage disposal may not be the focal point of your home, but they’re some of the most important fixtures that you own. If you are experiencing a problem, do not hesitate to call Complete Plumbing & Rooter right away, we are here to help. Let us take care of your plumbing problems today! Contact us to schedule your appointment now.